Shops will be able to see the low “conquest” price for a Ford collision part early next year in OPSTRAX under a program announced Thursday by Overall Parts Solutions. 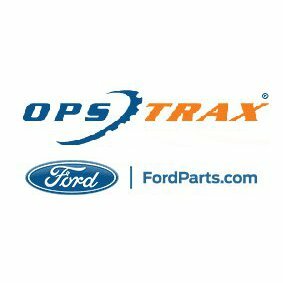 Ford dealerships can enroll now to take advantage of the OPS Technology Suite, which gives them the chance to post a competitive OEM part price on OPSTRAX using VALUTRAX, according to OPS creative director Jeff Crump Jr.
Dealerships also will gain DELIVERYTRAX, which will allow them to plan more efficient order shipments, Crump said. Those wanting to learn more about optimizing shop profits through areas like parts should attend “Optimizing Your Shop Sales Mix” with Charlie Whitaker, Valspar Automotive. The presentation will be at this year’s SEMA Show as part of the Society of Collision Repair Specialists’ Repairer Driven Education series. Register here. The program isn’t mandatory for Ford dealers. However, Crump said OPS expects the majority of North American retailers to have enrolled by Jan. 1. He wouldn’t disclose if dealers which had already enrolled were today offering lower-cost parts to their various regions. Crump also wouldn’t disclose pricing details when asked if Ford or the dealerships incurred any cost for participation under the partnership. The deal is not exclusive to Ford, Crump said, noting that OPS already has partnerships with Toyota, Nissan, Infiniti and Hyundai. The procurement landscape has been expanding. The OPS-Ford deal joins systems backed by insurers, such as State Farm and PartsTrader (though the latter has also partnered with OEConnection’s CollisionLink) or American Family and APU, and General Motors’ upcoming dynamic pricing through the estimating services via the OEConnection-assisted MyPriceLink. This variety of services carries the potential to foster inefficiency rather than solve it. Correction: An earlier version of this article contained incorrect information about MyPriceLink. MyPriceLink provides for dynamic list pricing only.